Welcome to the AT-Restoration-Party! 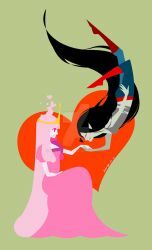 A growing organization set out to restore the joyful experience of being an Ask account in the adventure time community! Recently our numbers have grown small, the veterans have moved on and there’s not many left to inspire the new generation. We have forgotten what makes a community a true community. To be a community means to have each other’s backs, help those in need, motivate each other, and watch each other grow. It means knowing the difference between harsh criticism and constructive. To know when to be a voice and when to be shoulder to cry on. It’s a sense of unity and diversity. A friend ship, and brotherhood and sisterhood, a family. Here we are all on leveled grounds. So long as your passionate in what you do your artistic abilities do not defined you. I forgot to open the folder in the admin area you all can now submit!!! so I look this group over because I’m showing up to this Adventure Time OC thing 6 years late with Starbucks only to find that the founding date is my birthday. *grins* I do have one. Hello. Um, I made fanart for the two co founders and the founder as a holiday gift. Sorry to bother. I just thought I could share my appreciation for the AT community and being a part of it. I will be giving out a few more to others of the community.